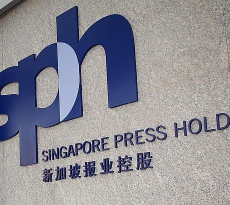 The Ministry of Manpower (MOM) on Tuesday (3 Apr) charged a 53-year-old woman, Zhou Fengxing, in the State Courts for abetting an employer to house foreign workers in overcrowded private residential premises. Zhou faces 21 charges under the Employment of Foreign Manpower Act (EFMA). If convicted, she could be fined up to $10,000, or imprisoned for up to 12 months or both, for each charge. Zhou’s company, Sino Star Enterprise Pte Ltd, also faces the same number of charges under the EFMA. Zhou is the managing director of Sino Star, which is in the business of arranging accommodation for foreign workers and students. 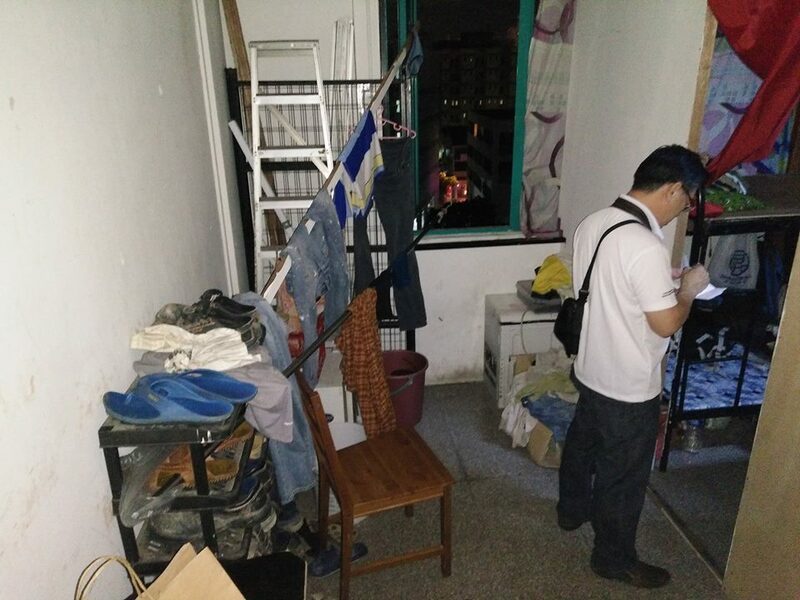 The Urban Redevelopment Authority (URA) has also charged Zhou and Sino Star for changing the use of three private residential units to workers’ dormitories without planning permission, and for abetment. Zhou and Sino Star each face three charges of unauthorised change of use of private residential units under the Planning Act, and two charges of abetting the unauthorised change of use of private residential units. If convicted, Zhou and Sino Star could be fined up to $200,000 per charge. The case was uncovered as part of MOM’s proactive enforcement efforts against foreign worker housing offences. 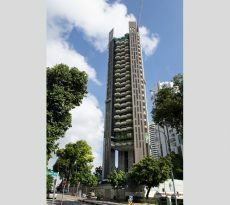 Investigations revealed that Sino Star was the master tenant of several units at a residential apartment located in Geylang. From March to July 2015, Zhou gave consent for Sino Star to sublet one unit to an employer to house a total of 21 foreign workers. The unit had exceeded URA’s prevailing occupancy cap of eight persons. The occupancy cap was eight persons at the time when URA investigated the case. It was revised to six persons in February 2017. Apart from illegal partitions found within, there was overcrowding in the unit, given the large number of occupants. This resulted in extremely unsanitary conditions which compromised the well-being of the workers. Following MOM’s inspections conducted at the said residential unit, URA ordered the employer to promptly relocate all affected workers. All the workers were moved out to a purpose-built dormitory within two weeks from the date the directive was issued. The cases against Zhou and Sino Star have been adjourned to 24 April 2018 for a Further Mention. 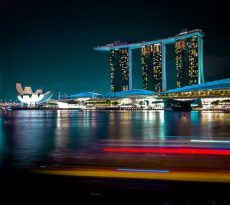 Under the Employment of Foreign Manpower (Work Passes) Regulations, employers are required to provide accommodation for their foreign workers which comply with the various statutory requirements. Employers who contravene any of the conditions of the work pass will be guilty of an offence under Section 22(1)(a) of the EFMA. On top of penalties imposed by the Court, MOM will also bar errant employers from employing foreign workers. MOM will also take firm action against errant property owners or tenants who fraudulently entered into subletting arrangements with employers that resulted in overcrowding conditions for the foreign workers. Under URA’s regulations, private residential properties are currently subject to an occupancy cap of six unrelated persons. All occupants must also fulfil a minimum stay duration of three consecutive months. Property owners should exercise due diligence to ensure that their properties are not used by their tenants for unauthorised purposes. The authorities have been cracking down on such overcrowding in private residential units for the past few year. 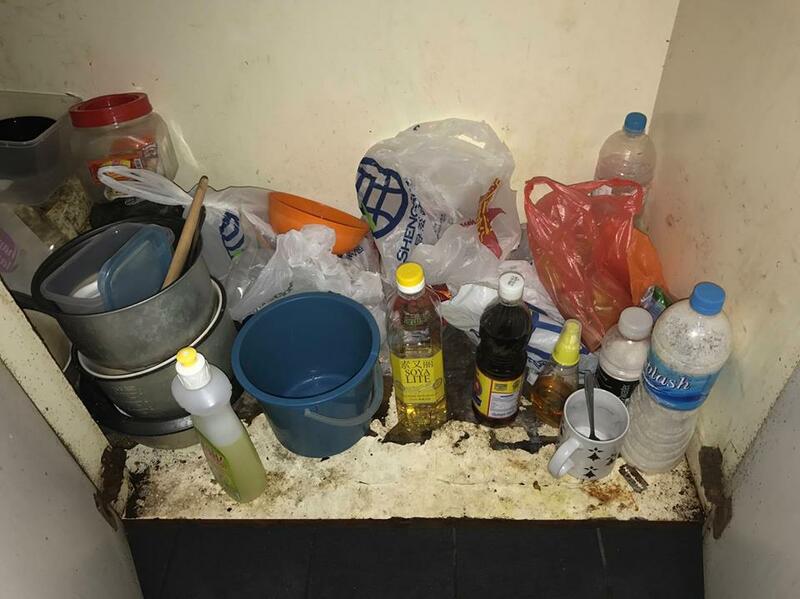 In a highly publicised case last year, the Migrant Workers’ Centre (MWC) posted about how 44 migrant workers were found crammed in 4-room Geylang apartment. 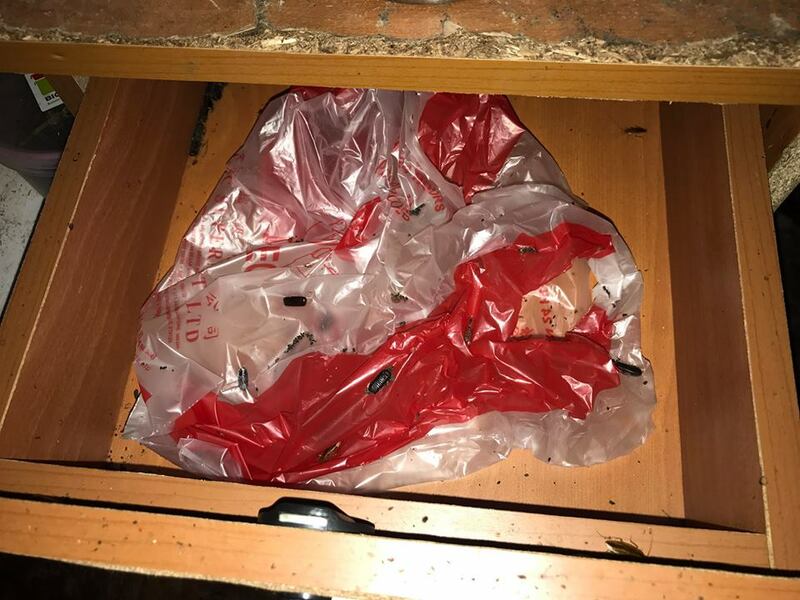 In July 2017, MWC said its officers and staffs from Ministry of Manpower’s Housing Inspectorate were shocked to find a roach and bed bug infested 4-room apartment in Geylang that housed 44 migrant workers who shared 2 small filthy washrooms and 1 common kitchen. The apartment had been reconfigured into 7 smaller rooms with thin plywood partitions that created narrow corridors within the flat for the workers to walk through. 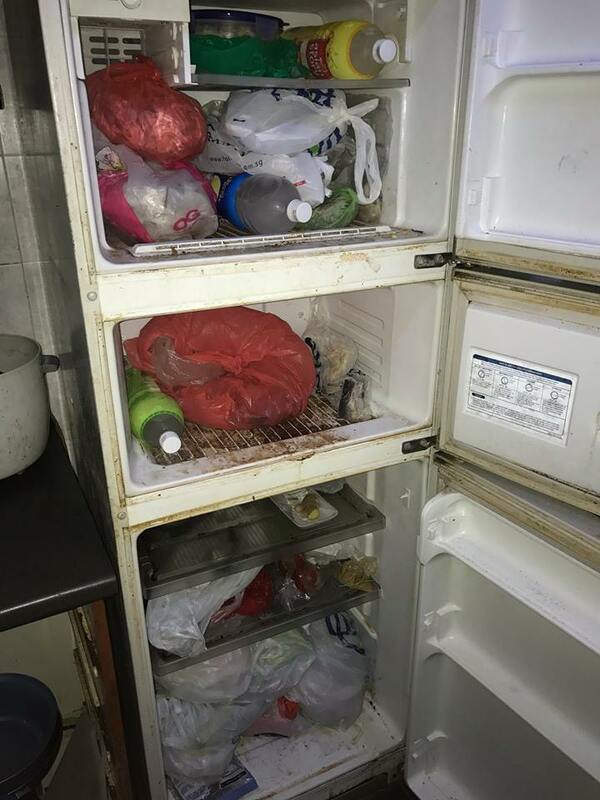 Migrant Workers’ Centre reported that officers who conducted a surprise night-time visit were appalled to find signs of roach and bed bug infestations everywhere, including in the apartment’s single refrigerator. In one photo, a wall can be seen with bloody trails of bed bugs that had been squashed. The authorities also heard that residents had taken to cooking within their sleeping quarters to avoid the long queue for the kitchen stove and that those who want to use the washrooms before heading to work will have to get up extra early and queue up to use the lavatory. 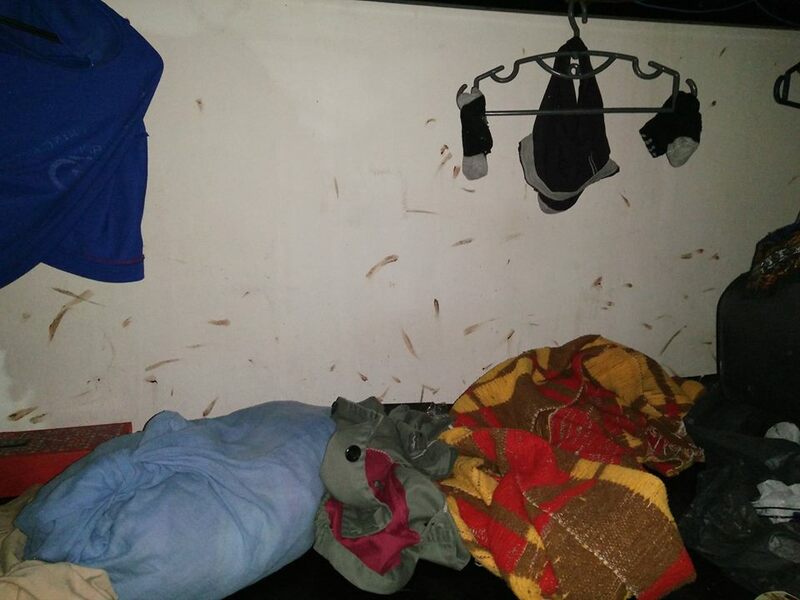 The apartment did not contain proper laundry facilities either and so, the migrant workers took to occupying available space like the frames of their bunk-beds to dry their wet clothes. 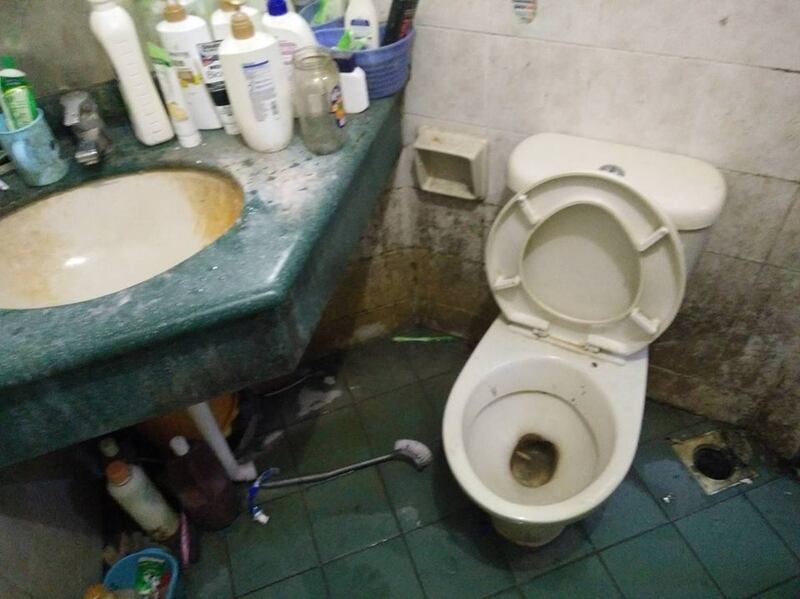 Despite being forced to live in such abhorrent conditions, the migrant workers did not dare to report their living situation to the authority, fearing punitive action from their employers. “The overcrowding, partitioning and obvious over-use of on-site amenities like electrical, water and gas points created serious health and safety issues to the occupants of the unit, and it was abundantly clear that immediate action was necessary. “MOM is investigating the matter and has compelled the employers of the occupants to relocate them to properly appointed and approved housing immediately. We have urged the authorities to take stern action against the wrongdoers to send a strong message of deterrence to those who exploit dignity and welfare of migrant workers in this manner. MOM urges foreign workers who have issues with their accommodation to first raise the matter to their employer. If their employers fail to make improvements to the living conditions, they should immediately seek advice and assistance from the MWC. Policing the policy changes to the private residential properties may prove challenging for the authorities, but the squeeze on landlords has begun and for tenants they will get to enjoy more space. MOM said that members of the public can also play a part by informing the authorities of persons or employers who contravene the EFMA, or refer foreign workers in distress to MOM. 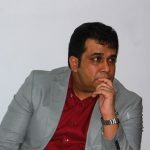 It assured the public that all information will be kept strictly confidential. If you need expert help for financing the purchase of a private residential property CONTACT US NOW.